Bangalore , officially known as Bengaluru ([ˈbeŋɡəɭuːɾu]), is the capital of the Indian state of Karnataka. It has a population of about 8.42 million and a metropolitan population of about 8.52 million, making it the third most populous city and fifth most populous urban agglomeration in India. It is located in southern India on the Deccan Plateau. Its elevation is over 900 m (3,000 ft) above sea level, the highest of India's major cities. Bangalore is sometimes referred to as the "Silicon Valley of India" (or "IT capital of India") because of its role as the nation's leading information technology (IT) exporter. Indian technological organisations ISRO, Infosys, Wipro and HAL are headquartered in the city. A demographically diverse city, Bangalore is the second fastest-growing major metropolis in India. It is home to many educational and research institutions in India, such as Indian Institute of Science (IISc), Indian Institute of Management (Bangalore) (IIMB), National Institute of Fashion Technology, Bangalore, National Institute of Design, Bangalore (NID R&D Campus), National Law School of India University (NLSIU) and National Institute of Mental Health and Neurosciences (NIMHANS). Numerous state-owned aerospace and defence organisations, such as Bharat Electronics, Hindustan Aeronautics and National Aerospace Laboratories are located in the city. The city also houses the Kannada film industry. The name "Bangalore" represents an anglicised version of the Kannada language name, "Bengalūru" ಬೆಂಗಳೂರು [ˈbeŋɡəɭuːru]. It is the name of a village near kodegehalli and was copied by Kempegowda to the city of Bangalore. 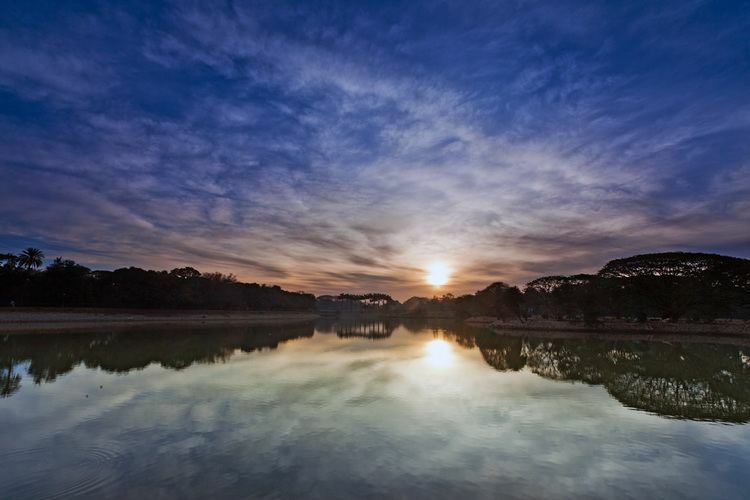 Bangalore was built on a venue earlier called as Shivanasamudram in the 16th century. The earliest reference to the name "Bengalūru" was found in a ninth-century Western Ganga Dynasty stone inscription on a "vīra gallu" (ವೀರಗಲ್ಲು) (literally, "hero stone", a rock edict extolling the virtues of a warrior). In this inscription found in Begur, "Bengalūrū" is referred to as a place in which a battle was fought in 890 CE. 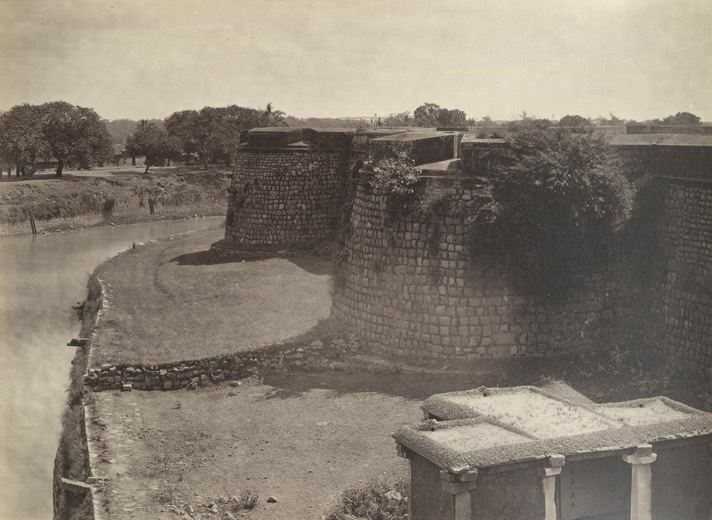 It states that the place was part of the Ganga Kingdom until 1004 and was known as "Bengaval-uru", the "City of Guards" in Halegannada (Old Kannada). On 11 December 2005, the Government of Karnataka announced that it had accepted a proposal by Jnanpith Award winner U. R. Ananthamurthy to rename Bangalore to Bengalūru. On 27 September 2006, the Bruhat Bangalore Mahanagara Palike (BBMP) passed a resolution to implement the proposed name change. The government of Karnataka accepted the proposal, and it was decided to officially implement the name change from 1 November 2006. The Union government have approved (along with other 12 cities) this request in October 2014 and Bangalore was renamed to "Bengaluru" on 1 November 2014. The region of modern-day Bangalore was part of several successive South Indian kingdoms. Between the fourth and the tenth centuries, the Bangalore region was ruled by the Western Ganga Dynasty of Karnataka, the first dynasty to set up effective control over the region. According to Edgar Thurston there were twenty eight kings who ruled Gangavadi from the start of the Christian era till its conquest by the Cholas. These kings belonged to two distinct dynasties: the earlier line of the Solar race which had a succession of seven kings of the Ratti or Reddi tribe, and the later line of the Ganga race. The Western Gangas ruled the region initially as a sovereign power (350–550), and later as feudatories of the Chalukyas of Badami, followed by the Rashtrakutas till the tenth century. The Begur Nageshwara Temple was commissioned around 860, during the reign of the Western Ganga King Ereganga Nitimarga I and extended by his successor Nitimarga II. Around 1004, during the reign of Raja Raja Chola I, the Cholas defeated the Western Gangas under the command of the crown prince Rajendra Chola I, and captured Bangalore. During this period, the Bangalore region witnessed the migration of many groups — warriors, administrators, traders, artisans, pastorals, cultivators, and religious personnel from Tamil Nadu and other Kannada speaking regions. The Chokkanathaswamy temple at Domlur, the Aigandapura complex near Hesaraghatta, Mukthi Natheshwara Temple at Binnamangala, Choleshwara Temple at Begur, Someshwara Temple at Madiwala, date from the Chola era. The Bangalore fort was captured by the British armies under Lord Cornwallis on 21 March 1791 during the Third Anglo-Mysore War and formed a centre for British resistance against Tipu Sultan. Following Tipu's death in the Fourth Anglo-Mysore War (1799), the British returned administrative control of the Bangalore "pētē" to the Maharaja of Mysore and was incorporated into the Princely State of Mysore, which existed as a nominally sovereign entity of the British Raj. The old city ("pētē") developed in the dominions of the Maharaja of Mysore. The Residency of Mysore State was first established in Mysore City in 1799 and later shifted to Bangalore in 1804. It was abolished in 1843 only to be revived in 1881 at Bangalore and to be closed down permanently in 1947, with Indian independence. The British found Bangalore to be a pleasant and appropriate place to station their garrison and therefore moved their cantonment to Bangalore from Seringapatam in 1809 near Halsur, about 6 kilometres (4 mi) north-east of the city. A town grew up around the cantonment, by absorbing several villages in the area. The new centre had its own municipal and administrative apparatus, though technically it was a British enclave within the territory of the Wodeyar Kings of the Princely State of Mysore. Two important developments which contributed to the rapid growth of the city, include the introduction of telegraph connections to all major Indian cities in 1853 and a rail connection to Madras, in 1864. Bangalore lies in the southeast of the South Indian state of Karnataka. It is in the heart of the Mysore Plateau (a region of the larger Precambrian Deccan Plateau) at an average elevation of 900 m (2,953 ft). It is located at 12.97°N 77.56°E﻿ / 12.97; 77.56 and covers an area of 741 km2 (286 sq mi). The majority of the city of Bangalore lies in the Bangalore Urban district of Karnataka and the surrounding rural areas are a part of the Bangalore Rural district. The Government of Karnataka has carved out the new district of Ramanagara from the old Bangalore Rural district. With an estimated population of 8.5 million in 2011, Bangalore is the fifth most populous city in India and the 18th most populous city in the world. Bangalore was the fastest-growing Indian metropolis after New Delhi between 1991 and 2001, with a growth rate of 38% during the decade. Residents of Bangalore are referred to as "Bangaloreans" in English and Bengaloorinavaru or Bengaloorigaru in Kannada. People from other states have migrated to Bangalore. The language that is spoken in Bangalore is its native language Kannada. Other languages such as English, Tamil, Telugu, Urdu, and Hindi are also spoken in a few places mostly by the migrants from northern India and neighbouring states. The Kannada language spoken in Bangalore is a form of Kannada called as 'Old Mysuru Kannada' which is also used in most of the southern part of Karnataka state. A vernacular dialect of this, known as Bangalore Kannada, is spoken among the youth in Bangalore and the adjoining Mysore regions. English (as an Indian dialect) is extensively spoken and is the principal language of the professional and business class. The major communities of Bangalore who share a long history in the city other than the Kannadigas are the Tamilians and Telugus, who migrated to Bangalore in search of a better livelihood. Already in the 16th century, Bangalore had speakers of Tamil, Kannada and Telugu, who spoke Kannada to carry out low profile jobs. However the Telugu Speaking Morasu Vokkaligas are the Native people of Bangalore Telugu-speaking people initially came to Bangalore on invitation by the Mysore royalty (a few of them have lineage dating back to Krishnadevaraya). Other native communities are the Tuluvas and the Konkanis of coastal Karnataka, the Kodavas of the Kodagu district of Karnataka. The migrant communities are Maharashtrians, Punjabis, Rajasthanis, Gujaratis, Tamilians, Telugus, Sindhis, and Bengalis. 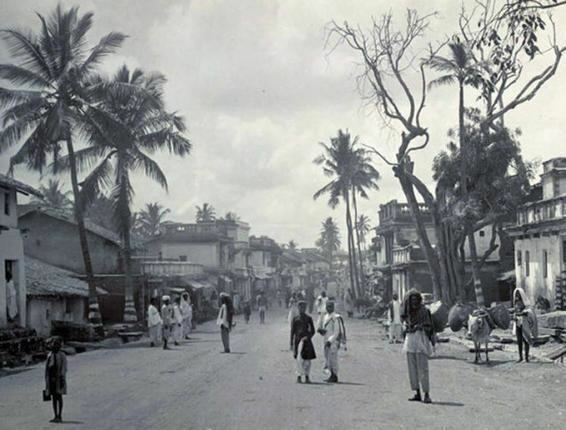 Bangalore once had a large Anglo-Indian population, the second largest after Calcutta. 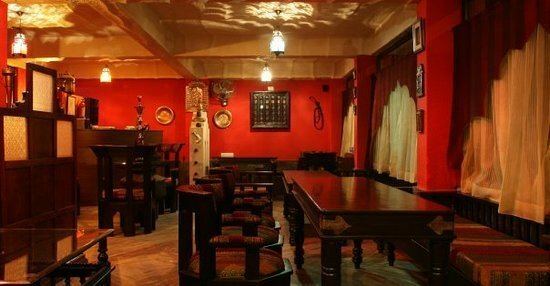 Today, there are around 10,000 Anglo-Indians in Bangalore. Christians form a sizeable section of Bangalorean society, with migrant Tamil Christians forming the majority of the Christian population, while Kannada Catholics, Mangalorean Catholics, Syro-Malabar Nasranis and others form the rest of the population. Muslims form a very diverse population, consisting of Dakhini and Urdu-speaking Muslims, Kutchi Memons, Labbay and Mappilas. The Bruhat Bangalore Mahanagara Palike (BBMP, Greater Bangalore Municipal Corporation) is in charge of the civic administration of the city. It was formed in 2007 by merging 100 wards of the erstwhile Bangalore Mahanagara Palike, with seven neighbouring City Municipal Councils, one Town Municipal Council and 110 villages around Bangalore. The number of wards increased to 198 in 2009. The BBMP is run by a city council composed of 250 members, including 198 corporators representing each of the wards of the city and 52 other elected representatives, consisting of members of Parliament and the state legislature. Elections to the council are held once every five years, with results being decided by popular vote. Members contesting elections to the council usually represent one or more of the state's political parties. A mayor and deputy mayor are also elected from among the elected members of the council. Elections to the BBMP were held on 28 March 2010, after a gap of three and a half years since the expiry of the previous elected body's term, and the Bharatiya Janata Party was voted into power – the first time it had ever won a civic poll in the city. The Bangalore City Police (BCP) has seven geographic zones, includes the Traffic Police, the City Armed Reserve, the Central Crime Branch and the City Crime Record Bureau and runs 86 police stations, including two all-women police stations. As capital of the state of Karnataka, Bangalore houses important state government facilities such as the Karnataka High Court, the Vidhana Soudha (the home of the Karnataka state legislature) and Raj Bhavan (the residence of the Governor of Karnataka). Bangalore contributes four members to the lower house of the Indian Parliament, the Lok Sabha, from its four constituencies: Bangalore Rural, Bangalore Central, Bangalore North, and Bangalore South, and 28 members to the Karnataka Legislative Assembly. Recent estimates of the economy of Bangalore's metropolitan area have ranged from $45 to $83 billion (PPP GDP), and have ranked it either fourth- or fifth-most productive metro area of India. The value of city's exports totalling ₹432 billion (US$6.7 billion) in 2004–05. With an economic growth of 10.3%, Bangalore is the second fastest-growing major metropolis in India, and is also the country's fourth largest fast-moving consumer goods (FMCG) market. Forbes considers Bangalore one of "The Next Decade's Fastest-Growing Cities". The city is the third largest hub for high-net-worth individuals and is home to over 10,000-dollar millionaires and about 60,000 super-rich people who have an investment surplus of ₹45 million (US$701,681) and ₹5 million (US$78,000) respectively. The headquarters of several public sector undertakings such as Bharat Electronics Limited (BEL), Hindustan Aeronautics Limited (HAL), National Aerospace Laboratories (NAL), Bharat Heavy Electricals Limited (BHEL), Bharat Earth Movers Limited (BEML), Central Manufacturing Technology Institute (CMTI) and HMT (formerly Hindustan Machine Tools) are located in Bangalore. In June 1972 the Indian Space Research Organisation (ISRO) was established under the Department of Space and headquartered in the city. Bangalore also houses several research and development centres for many firms such as ABB, Airbus, Bosch, Boeing, GE, GM, Google, Microsoft, Mercedes-Benz, Nokia, Oracle, Philips, Shell, Toyota and Tyco. Bangalore is called as the Silicon Valley of India because of the large number of information technology companies located in the city which contributed 33% of India's ₹1,442 billion (US$22 billion) IT exports in 2006–07. Bangalore's IT industry is divided into three main clusters – Software Technology Parks of India (STPI); International Tech Park, Bangalore (ITPB); and Electronics City. UB City, the headquarters of the United Breweries Group, is a high-end commercial zone. Infosys and Wipro, India's third and fourth largest software companies are headquartered in Bangalore, as are many of the global SEI-CMM Level 5 Companies. A rapid transit system called the Namma Metro is built. A 7 km (4.3 mi) stretch from Bayappanahalli to MG Road was opened to public on 20 October 2011, while another 10 km (6.2 mi) stretch from Malleswaram to Peenya was opened on 1 March 2014. Once completed, this will encompass a 42.3 km (26.3 mi) elevated and underground rail network comprising 41 stations. It is expected to connect central locations in Bangalore to the airport near Devanahalli as well as the Chikballapur regions. This much delayed project is the city's primary response to the worsening city transport infrastructure which has become a major deterrent to continued business growth. Bangalore is a divisional headquarters in the South Western Railway zone of the Indian Railways. There are four major railway stations in the city: Krantiveer Sangolli Rayanna Railway Station, Bangalore Cantonment railway station, Yeshwantapur junction and Krishnarajapuram railway station, with railway lines towards Jolarpettai in the east, Chikballapur in the north-east, Guntakal in the north, Tumkur in the northwest, Nelamangala in the west, Mysore in the southwest and Salem in the south. Buses operated by Bangalore Metropolitan Transport Corporation (BMTC) are an important and reliable means of public transport available in the city. While commuters can buy tickets on boarding these buses, BMTC also provides an option of a bus pass to frequent users. BMTC runs air-conditioned luxury buses on major routes, and also operates shuttle services from various parts of the city to Kempegowda International Airport . The BMTC also has a mobile app that provides real-time location of a bus using the global positioning system of the user's mobile device. The Karnataka State Road Transport Corporation operates 6,918 buses on 6,352 schedules, connecting Bangalore with other parts of Karnataka as well as other neighbouring states. The main bus depots that KSRTC maintains are the Kempegowda Bus Station, locally known as "Majestic bus stand", where most of the out station buses ply from. Some of the KSRTC buses to Tamil Nadu, Telangana and Andhra Pradesh ply from Shantinagar Bus Station, Satellite Bus Station at Mysore road and Baiyappanahalli satellite bus station. BMTC and KSRTC were the first operators in India to introduce Volvo city buses and intracity coaches in India. Three-wheeled, yellow and black or yellow and green auto-rickshaws, referred to as autos, are a popular form of transport. They are metered and can accommodate up to three passengers. Taxis, commonly called City Taxis, are usually available too, but they are only available on call or by online based services. Taxis are metered and are generally more expensive than auto-rickshaws. 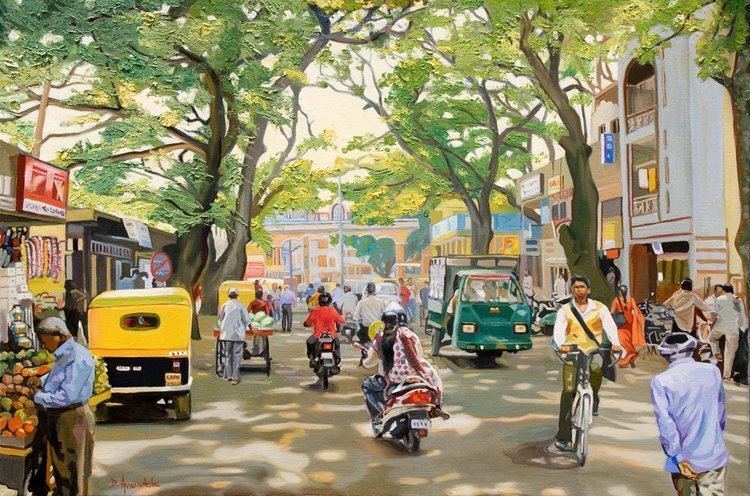 Bangalore did not have an effective contemporary art representation, as compared to Delhi and Mumbai, until recently during the 1990s, several art galleries sprang up, notable being the government established National Gallery of Modern Art. 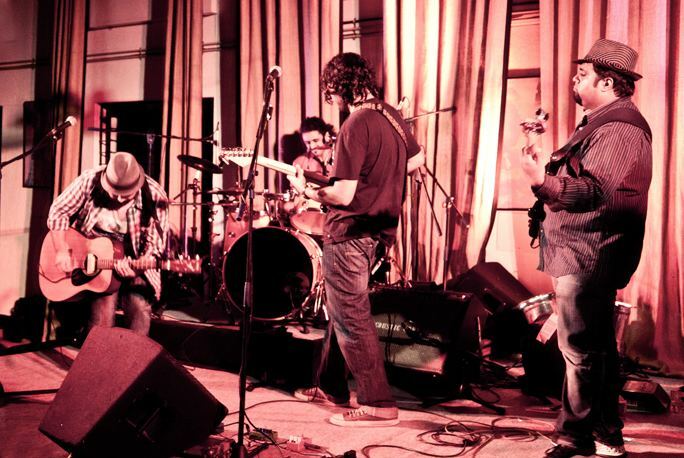 Bangalore's international art festival, Art Bangalore, was established in 2010, and is South India's only art festival. Bangalore University, established in 1886, provides affiliation to over 500 colleges, with a total student enrolment exceeding 300,000. The university has two campuses within Bangalore – Jnanabharathi and Central College. University Visvesvaraya College of Engineering was established in the year 1917, by Bharat Ratna Sir M. Visvesvaraya, At present, the UVCE is the only engineering college under the Bangalore University. Bangalore also has many private Engineering Colleges affiliated to Visvesvaraya Technological University. Indian Institute of Science, which was established in 1909 in Bangalore, National Centre for Biological Sciences (NCBS), Jawaharlal Nehru Centre for Advanced Scientific Research (JNCASR), Indian Institute of Astrophysics, the Raman Research Institute, and International Centre for Theoretical Sciences are the premier institutes for scientific research and study in India. Nationally renowned professional institutes such as the University of Agricultural Sciences, Bangalore (UASB), National Institute of Design(NID), National Institute of Fashion Technology (NIFT), National Law School of India University (NLSIU), the Indian Institute of Management, Bangalore (IIM-B), Institute of Wood Science and Technology, the ICAR-National Institute of Animal Nutrition and Physiology (NIANP), the Indian Statistical Institute and International Institute of Information Technology, Bangalore (IIIT-B) are located in Bangalore. The city is also home to the premier mental health institution in India National Institute of Mental Health and Neuro Sciences (NIMHANS). Bangalore also has some of the best medical colleges in the country, like St. John's Medical College (SJMC) and Bangalore Medical College and Research Institute (BMCRI). The M. P. Birla Institute of Fundamental Research has a branch located in Bangalore. Cricket and Football are by far the most popular sports in the city. Bangalore has many parks and gardens that provide excellent pitches for impromptu games. A significant number of national cricketers have come from Bangalore, including former captains Rahul Dravid and Anil Kumble. Some of the other notable players from the city who have represented India include Gundappa Vishwanath, Syed Kirmani, E. A. S. Prasanna, B. S. Chandrasekhar, Roger Binny, Javagal Srinath, Venkatesh Prasad, Sunil Joshi, Robin Uthappa and Vinay Kumar. Bangalore's international cricket stadium is the M. Chinnaswamy Stadium, which has a seating capacity of 55,000 and has hosted matches during the 1987 Cricket World Cup, 1996 Cricket World Cup and the 2011 Cricket World Cup. The Chinnaswamy Stadium is the home of India's National Cricket Academy.